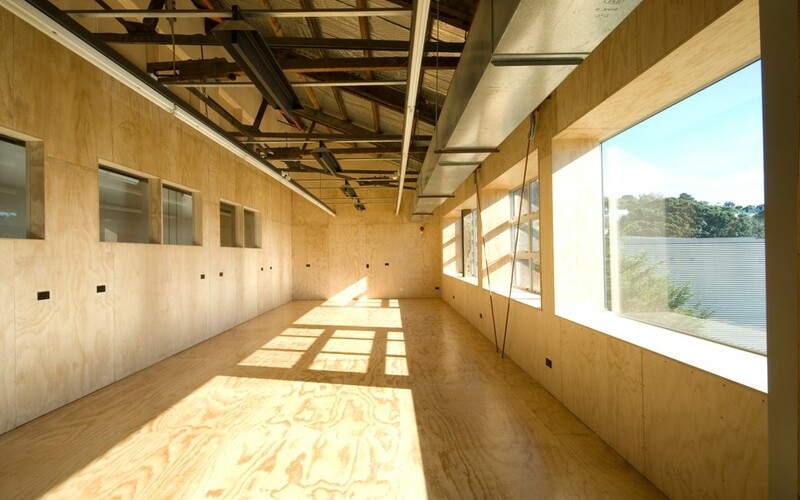 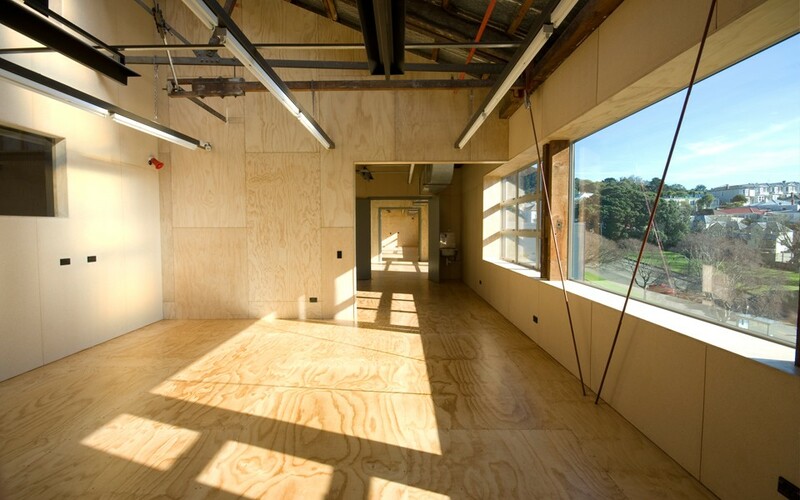 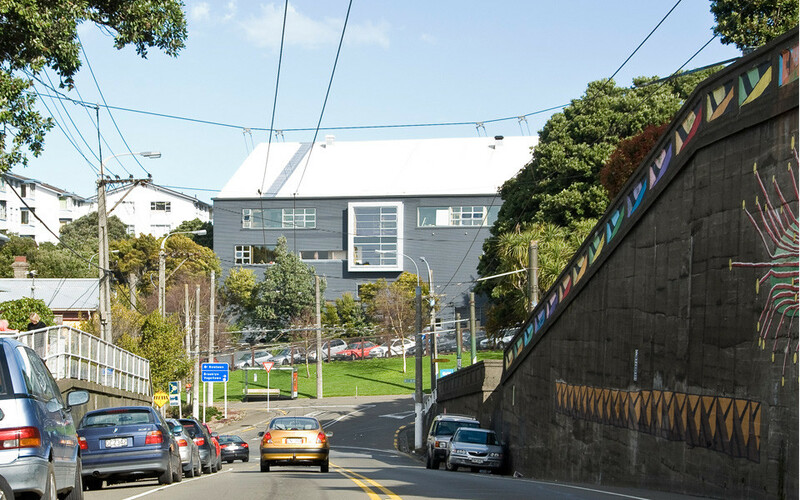 Toi Whakaari: NZ Drama School acknowledged the role of set design in the success of stage and screen productions when it commissioned the new design studios in its Newtown, Wellington home, Te Whaea, which it shares with the NZ School of Dance. 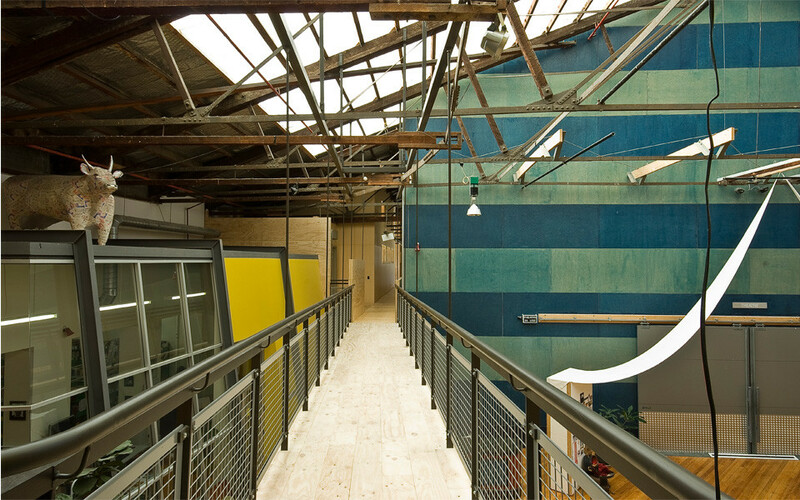 The studios were inserted within the pre-existing 80 year old structure, ‘cheek by jowl’ with the main performance space, creating a new mezzanine level with windows to the city offering excellent natural light and ventilation for the students. 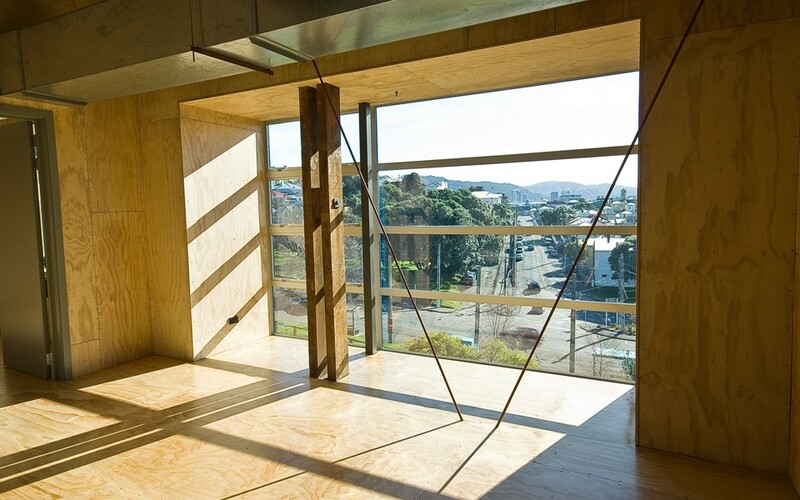 These glazed openings, punched through the industrial metal clad wall relieve the anonymity of the previously blank façade and for the first time allow passers-by a tantalising glimpse into the colourful and intriguing world of theatre at Te Whaea.